Last week we had a showdown between Last Sacrifice by Richelle Mead, and Ghost Town by Rachel Caine. Ghost Town by Rachel Caine! These covers are both so pretty, I don't know if I could choose. Can you? Everneath! Plus it is one amazing book! Both covers are pretty, but I'd pick Everneath as my favorite. That's a tough choice because they are both beautiful covers, but I think Everneath caught my eye first. Everneath! The cover was so beautiful that I had to ask the publisher for an ARC and it is an even more wonderful story than the cover is lovely. Cinder. What's more epic than a symbolic Cinderella shoe with a mysterious cyborg ankle? Everneath looks too similar to every other book on the market atm. 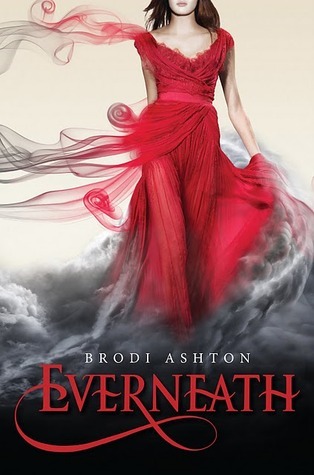 The cover for Everneath is nice and all, but am absolutely in love with the simplicity of the cover of Cinder. Everneath is pretty but I feel like I've seen it 100 times already. Cinder is simple yet is has a creepy feel to it that makes me want to know more about the story inside. Both are great, but Cinder has my vote. I'm pretty over the "girl in a dress" covers and I love how Cinder's gives me an idea of its story (which was amazing!). At first glance I'd pick Everneath but I don't like the background color and the girl's pose just screams runway model. Plus it isn't all that original, pretty though it may be. The cover for Cinder is simple but unique and I love the font. My vote goes to Cinder. CINDER. No contest. It's brilliant. So sick of girls in dresses! I vote for CINDER! Plus it actually reveals something about the story (which is fantastic, btw)! Ohhh I like both alot...but I think Cinder is just a bit cooler! I love both books and love Marissa, but........EVERNEATH has my vote. I'm completely obsessed with this cover!! Though CINDER does look even better in person because you can't see the silver in the computer-generated image! 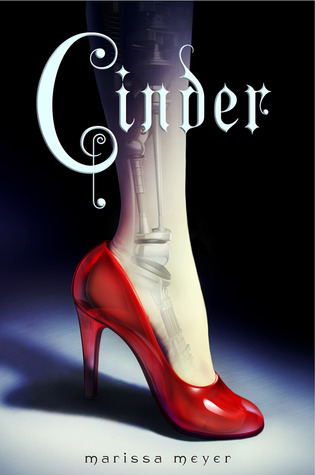 While Everneath is beautiful I have to say Cinder because there are way too many covers with women in beautiful dresses - now feet....you don't see that as often - plus I LOVED CINDER! AHHH It is definitely in my favorites section now!